This gently tweaked traditional Christmas tale from a shepherd girl’s perspective opens doors to wonderings about the children who might have lived more than 2000 years ago on that first Christmas Eve. The nights were cold. And boring. What better way to while away the chilly hours than snuggled up with a real live lamb? When angels disturbed the silence with their announcement of a new born king, the adult shepherds decided to see this child for themselves. We all know that side of the story, but what about the sheep? And the children? Could little ones have been left to guard the flock? What would you do if you were left behind? This little shepherd girl does not listen to explanations about why she cannot go and so begins her adventure of a lifetime. Lucy Hennessy has captured the desert sands and desolate landscape while still maintaining the colours of Christmas throughout the pages. 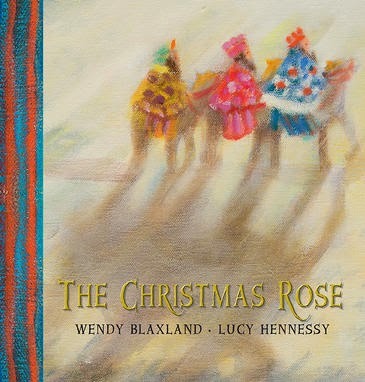 Wendy Blaxland’s simple words allow the miracle that can come from a desire to give to emerge from this Christmas tale. A sweet Christmas tale that is just a little bit different.